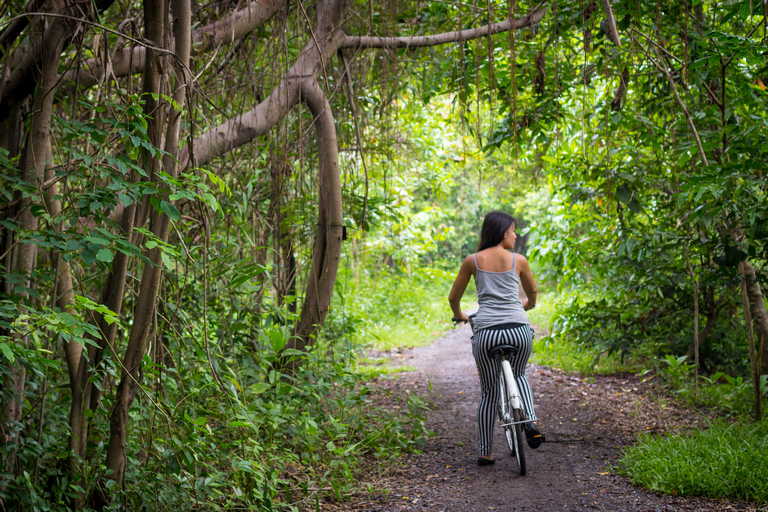 Bang Krachao island is a green oasis right in the heart of Bangkok. This urban jungle is actually visible from the higher floors of many apartment blocks along Sukhumvit Road, however, it remains unknown to most travelers. Wait, take a step back. An island in Bangkok you say? Don’t go expecting white sand, beach huts, and coconut trees just yet. 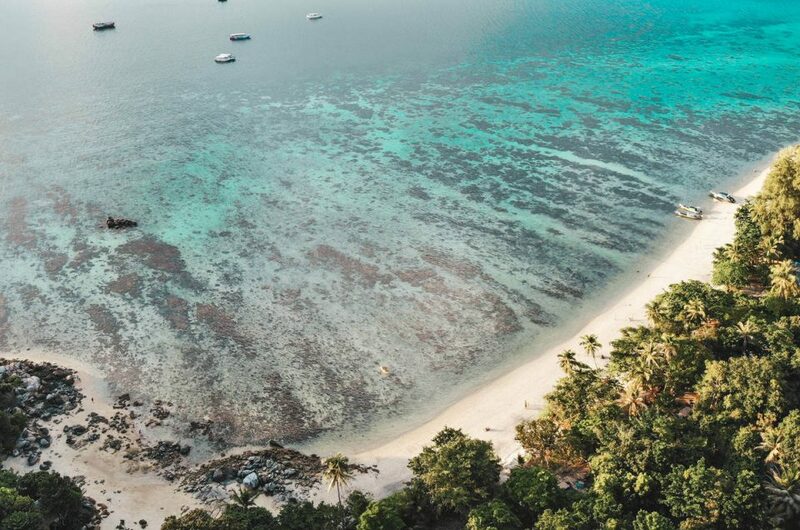 Bang Krachao is nothing like the tropical paradise of Koh Lipe or Koh Kood. However, it is unique and amazing in its own right. Bang Krachao is actually a man-made island located in the Chao Praya River. Years ago a canal was cut allowing cargo boats to shorten their journey along the river. 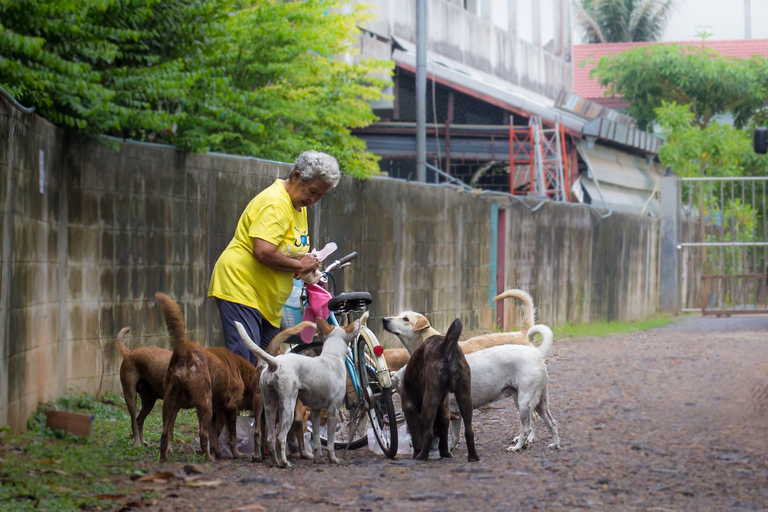 It’s a similar story to how the island of Koh Kret was formed in the north of Bangkok. Bang Krachao is commonly referred to as the Lungs of Bangkok, this is due to the huge amount of trees which eat up the city’s air pollution. There are thousands of mangrove trees around the perimeter of the island and plenty more jungle within the island itself. In a rapidly developing city, Bang Krachao is one place which has managed to withstand change. So, you better visit before it’s too late! The best way to get around Bang Krachao is by bicycle. As I pointed out in my article on the best time to visit Bangkok, it’s pretty much always hot here. So, expect to get sweaty if you’re cycling, and carry plenty of water to keep hydrated. Bicycles on Bang Krachao are available for rent at the ferry pier. You can pick one up for about 70 THB (USD 2.50) per day. If you find Bangkok’s heat to be too overwhelming, then you can get also opt for a motorbike taxi. Ask the guys in the orange vests with the numbers printed on the back. A standard rate for a motorbike taxi to almost any destination on Bang Krachao is 20 THB (USD 0.80) per person. The most popular destination on Bang Krachao is the Bang Krachao Floating Market, officially the Bang Nam Peung Floating Market. The name Bang Nam Peung Floating Market is a bit deceptive. Unlike the Damnoen Saduak or the Amphawa Floating Markets in Samut Songkhram, this one isn’t directly on the water but is built around the canals. The Bang Nam Peung floating market is qctually quite large, extending along a couple of small alleys in the area. You will find a wide range of local foods and handcrafted goods for sale here. 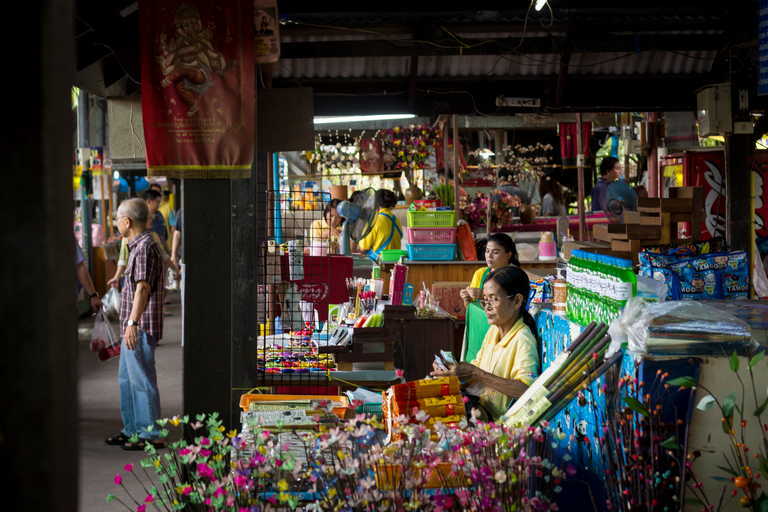 It is one of my favourite places to pick up an authentic souvenier in Bangkok. There is plenty of food around the market which you should taste. For lunch try a hot bowl of gui tiaw lua rice noodles in pig’s blood soup or tom yum kuung sen lek large prawns with rice noodles in a spicy tom yum soup. Continue further along to discover a beautiful teak wood house called Reuan Fresh Milk (เรือนนมสด). 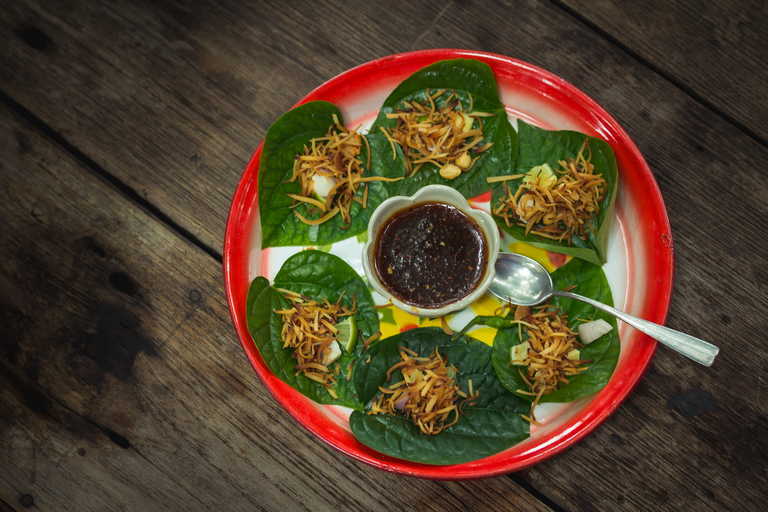 Try the classic Thai desert meing kum a herbal leaf wrapped around diced mango and lime with a drizzling of sweet fish sauce. Bang Krachao Floating Market is open on weekends from morning until about 3pm. Be sure to visit in the morning or you might just miss it! Sri Nakhon Khuen Khan Park is the most beautiful garden oasis in Bangkok. The huge wetland covers an extensive area of 111,000 square meters. This makes Sri Nakhon Khuen Khan Park one of the largest parks in the city. The est way to explore Sri Nakhon Khuean Khan Park is by bicycle. The cycling routes are well paved with small wooden bridges crossing the lake here and there. You can also venture further around the back of the park where you will find a 1km long dirt trail winding through the jungle. Here you can really forget you are in the city. If you don’t want to cycle, then just chill out in this traffic free escape. Vehicles are not allowed in the park so it is just about the most peaceful place you will find in all of Bangkok. 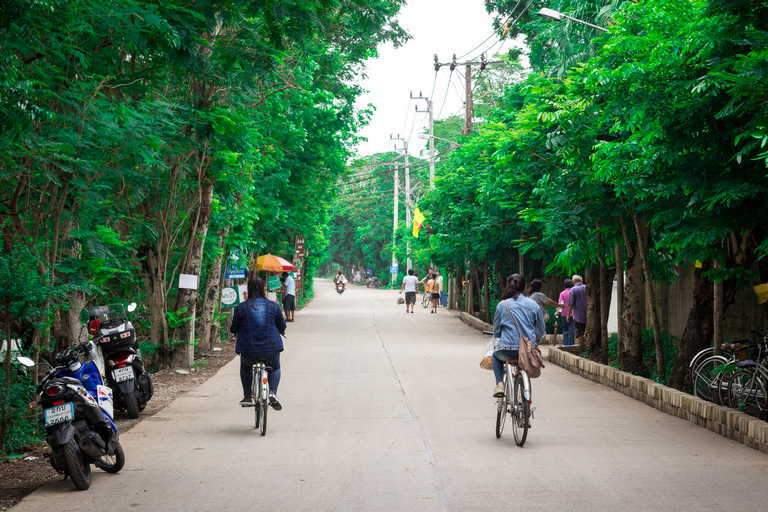 Wander through the small streets from Sri Nakhon Khuean Khan Park back to Bang Nam Peung Pier. Along the way, you will come across local farms, weekend fisherman and small coffee shops where you can enjoy the relaxing vibe on Bang Krachao. 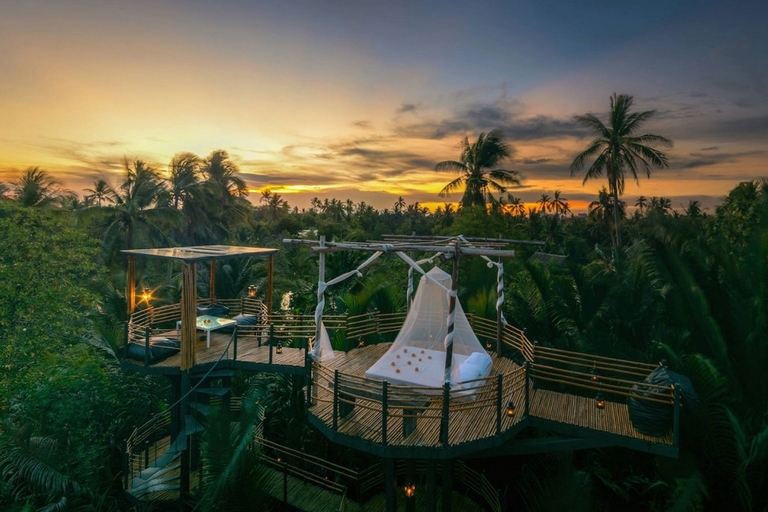 Heading further along the east coast and you will come across a unique resort called the Bangkok Treehouse. This eco-friendly resort is also known as Bangkok’s Greenest Hotel. It is a perfect overnight escape from the city. Whether you stay a night or not you should definitely check out the design of this trendy little hotel along the banks of the Chao Praya River. Bang Krachao is a short ferry ride across the Chao Praya River. Piers on the Bangkok side of the river are located at Chong Nongsi, Bang Na, and Klong Toei. I’ve always used the pier at Bang Na to cross over to Bang Krachao. 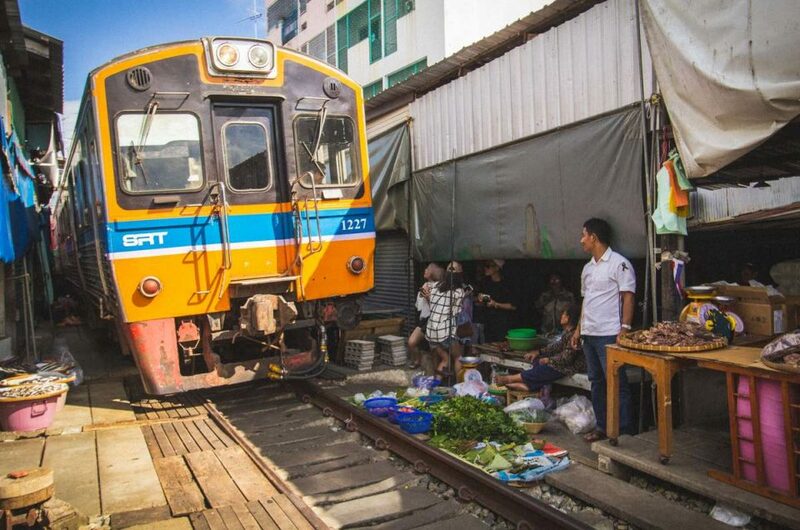 To get to the Bang Na ferry pier you will have to take the BTS Skytrain to Bang Na Station. From Bang Na Station, walk up Sukhumvit Road towards Udom Suk Station, and turn left at Sanphawut Road. Continue to the end of Sanphawut Road until you reach the Chao Praya river. The ferry crossing the Chao Praya River departs every 15 minutes or so. A one-way ticket costs just 10 cents! For more things to do on Bang Krachao you can read the post on viaBangkok, an article written by another great Bangkok based travel blogger. After visiting even half of these temples you’ll no doubt be looking for something else to do in Bangkok. That’s why I’ve written this useful article on the top things to do in Bangkok. You will be able to quickly work through just about all the attractions in this article in just 2-3 days. So what are you waiting for? Read more here! 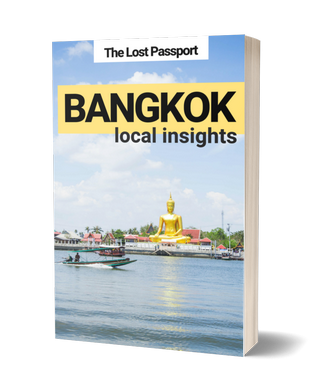 Explore Bangkok like a local. Over 50 destinations in and around town. But,now i decide travel to myanmar. I’ve just been to Bangkok a few months ago and I did not know about this place…it looks awesome!